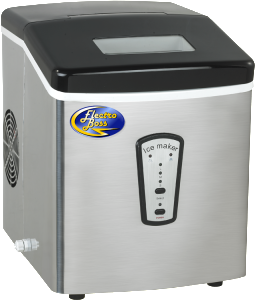 ElectroBoss is proud to announce it’s new line of home ice makers. ElectroBoss IceBoss Ice Makers have all the quality and features you expect from more expensive ice makers, without the hefty price tag. Compare and save. Founded with the belief that hard working people want hard working appliances, ElectroBoss has woven hard working principles into every product it makes. ElectroBoss strives to make your money go farther by letting you buy more, and having their products last longer. You work hard for your money, so we work hard for your brand loyalty..